park’s Douglas Center or the beach in minutes. Or walk to restaurants and shops from the South Shore station. The very 1st Indiana Dunes National Lakeshore Beach Town. Just 30 miles from the Chicago Loop. DRIVING: Interstate Highways I90 (Chicago Skyway), I94 (Kennedy from Chicago) and I80 (Borman Expressway), and I65 all have exits that lead to highway 12. Highway 12 connects with historic downtown Miller Beach at Lake Street, as well as County Line Road. Both Lake Street and County Line drive directly north to reach Lake Michigan and beaches. PUBLIC TRANSIT from Chicago via the South Shore Line: The South Shore Miller stop is next to Miller Beach’s historic downtown. Ride the South Shore and meet a friend for dinner or drink in town or bring your bike for the short ride to the beach or national park woods! Check www.nictd.com for schedules. 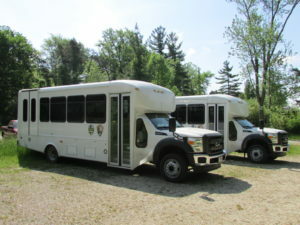 PUBLIC TRANSIT within Northwest Indiana via the GPTC: Bus service from Crown Point, East Chicago, Gary, Hammond, and Merrillville connect to Miller Beach. Check http://www.gptcbus.com/routes.htm for schedules.